Are you really taking good care of your company’s most valuable asset? 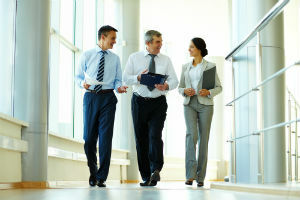 Home » Are you really taking good care of your company’s most valuable asset? » Blog » Are you really taking good care of your company’s most valuable asset? We say it all the time. It’s on each company’s website and on posters at the workplace – ‘Employees are our most valuable asset’. But what really goes into caring for this asset? It’s not enough to wake up to this question only when we see the attrition figures going up. Employee retention is a mammoth task considering that attrition rates are so high these days, especially among younger employees. It is time to take up caring for the company’s most valuable asset and take employee management a little more seriously. So what happens when a company loses an employee? The recruitment team goes about its business to hire a replacement. But did you know studies show that replacing an employee could cost the company more than 70% of that employee’s compensation? Now that’s a startling number. Companies have to realize that employees are no longer content only with a good salary and some benefits. Organizations need to realize that employees have several options these days. So if you want an employee to stick around, paying heed to what he expects out of a good job becomes imperative. So, apart from basics such as salary and benefits, what do these employees really want? Many studies conducted on employee retention state that a pleasant work environment, rewards and recognition, learning opportunities and trust and confidence are a key expectation by employees. While this list does not sound complicated, creating such an environment is not easy. Having an expectation exchange program to set employee and employer expectations straight is sure to clear a lot of air. And also, leveraging managers to make work engaging for the employees as managers have a strong influence on most employees. These are a few simple things to start with to bring about a change in the way employees look at your organization, improving employee management. Rest assured you too will reap its benefits.